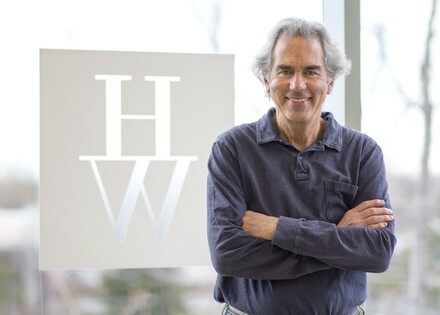 Corey Hogan founded Corey J. Hogan and Associates in 1975 in Lockport, New York. In 1990, he moved the firm's headquarters to Amherst, New York while maintaining an office in Lockport. In 1998, HoganWillig was established through a merger of The Law Office of Ronald Willig, founded in 1966, and Corey J. Hogan and Associates. Mr. Hogan has been in practice for over 40 years since admission to the New York State Bar in 1975. He was voted an Upstate New York "Super Lawyer" every year since 2007, reflecting the esteem and confidence of the local legal community. As one of the firm's lead litigation attorneys, Mr. Hogan has extensive litigation experience and has appeared before the Supreme Courts of Erie, Niagara, Orleans, Monroe and Genesee Counties, the U.S. Bankruptcy Court for the Western District of New York, the Appellate Division, Fourth Department and the Court of Claims. He has appeared pro hac vice in Florida, Utah, Kentucky and Colorado. Mr. Hogan obtained what are believed to be two of the largest verdicts in the Court of Claims. He is a Life Member of the Multi-Million Dollar Advocates Forum, a prestigious group of the top trial lawyers in the United States. Most recently, Mr. Hogan successfully achieved a $9 million verdict awarded by a Niagara County jury and a $5 million dollar verdict in a failure to timely diagnose cancer case in Monroe County. These verdicts are believed to be one of the largest verdicts of their kind in each county. Mr. Hogan also provides higher level counseling to business leaders on legal and work-related issues that they may confront in the operation of their organizations. Mr. Hogan served as counsel for a 24-year-old woman who suffered with stage three breast cancer as a result of delay in her diagnosis. A jury awarded the client the third highest medical malpractice award in Monroe County history for $5.1 million dollars. In 2005, the firm successfully obtained an award on behalf of a traumatically brain injured woman who was involved in an automobile accident in Niagara County in 1992. The 28 year old woman's vehicle was involved in a horrific crash after hydroplaning on water which collected in ruts in the road which Mr. Hogan was able to establish were due to the negligence on the part of New York State. The resulting award to the injured woman exceeded $6,400,000. Mr. Hogan represented a 55-year-old man who suffered a bone infection that occurred after a doctor used the wrong sized artificial hip. The client required multiple surgeries and hospitalizations and remains permanently injured. The jury awarded what is believed to be Genesee County's first medical malpractice verdict in 10 years to Mr. Hogan's client. HoganWillig successfully tried a case in the U.S. District Court of Utah located in Salt Lake City on behalf of a gentleman who suffered a fatal fall at a Utah ski resort. In successfully establishing negligence on the part of the resort, Mr. Hogan was able to secure a rare jury verdict in excess of $1,000,000 that was subsequently reduced due to the decedent's comparative fault to$748,150. Mr. Hogan represented a 33-year-old woman who lost her uterus due to a hemorrhage as a result of a delay in her baby's delivery and the doctor's delayed treatment of her hemorrhage after delivery. After a two week trial, a Niagara County jury awarded the mother and her husband $845,000, the highest medical malpractice award of 2008 in that county. The firm represented another family of a traumatically brain injured young woman before the NYS Court of Claims in connection with a 1993 automobile accident. The award, in excess of $5,000,000 resulted from successfully establishing the State's negligence in plowing and salting the road on which the woman was driving. The accident not only left the woman permanently disabled but also resulted in the death of her brother. Mr. Hogan served as counsel for a 38-year-old woman who suffered from liver failure and required a new liver. A donor liver became available and the hospital testing the donor's blood for infections, made a reporting error. A Hepatitis C infected liver was transplanted into the woman. That casesettled for $1,000,000 with the hospital that made the laboratory error. Mr. Hogan was counsel for a 33-year-old woman who died of the delayed diagnosis of breast cancer. At the conclusion of the two week trial, a Niagara County jury returned a landmark verdict of $9.3 million; which is believed to be the largest medical malpractice verdict in Niagara County history and was the second largest medical malpractice verdict in New York State that year. Mr. Hogan served as counsel for a 59-year-old man who was left paralyzed when his doctor cut a nerve during a minimally invasive lung biopsy. That case settled in the New York Court of Claims for $850,000. Mr. Hogan represented the family of a three-year-old girl who died as a result of a physician's failure to diagnose a treatable heart condition. The doctor and the hospital settled the case for nearly the maximum amount allowed by the state of Colorado. Fare Free Mass Transit in WNY - Is It Possible?